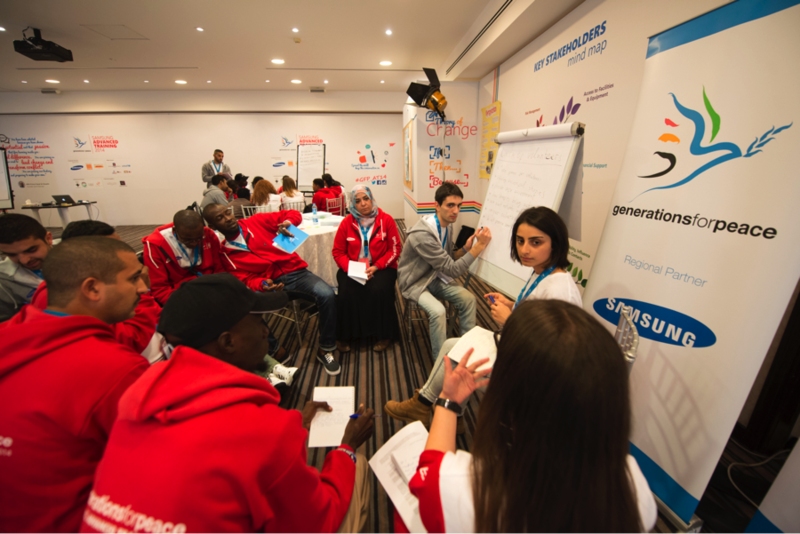 During the 3rd day of the Generations For Peace Samsung Advanced Training 2014, focus was placed on the planning and implementation of peace-building programmes. The GFP Pioneers constitute a large base of knowledge when it comes to the management of sport-based and art-based peace-building programmes. Thus, horizontal learning between the Pioneers present – and in particular the sharing of their diverse experiences – is crucially important in order to ensure the capturing of best practices. During the course of the day, the Pioneers shared their respective experiences when it comes to working with different Target Groups, in different contexts, and the design and implementations of programmes accordingly. The participants of the discussions had several interesting suggestions regarding what to consider when working with children (e.g., simple instructions, rules, and the importance of encouragement), when working with youth (e.g., adventurous activities, and peer discussions), when working with adults (e.g., facilitated learning, and not to teach or lecture). Finally, aspects of monitoring and evaluation were incorporated through refreshing and discussing the impact (changes within the Target Group) and outcome (changes within the Beneficiary Community) indicators. During this process, the Pioneers became better equipped to select and monitor their indicators. Furthermore, they learned more about expressions of change, and how to evaluate these based on their selected indicators. This refreshing introduction to monitoring and evaluation will be followed up on tomorrow, when several sessions will enable for discussions and sharing of experiences. Stay tuned for that!